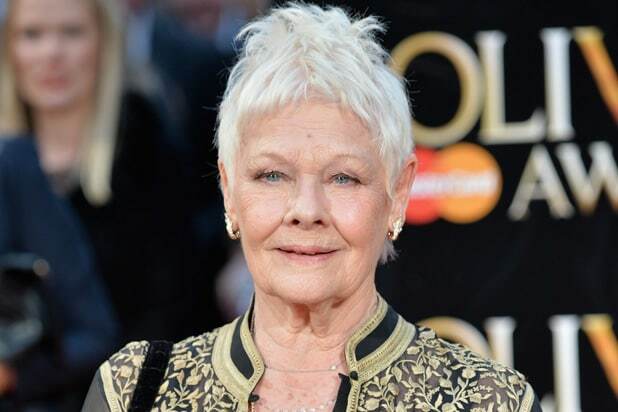 IFC Films has acquired domestic rights to Judi Dench’s period spy thriller “Red Joan,” an individual with knowledge of the project told TheWrap. IFC Films is planning to release “Red Joan” theatrically in 2019. Loosely inspired by the biography of British KGB agent Melita Norwood, the film had its world premiere at the Toronto Film Festival on Thursday and is directed by Trevor Nunn. The film also stars Sophie Cookson. “Red Joan” was written by Lindsay Shapero (“Royal Wives at War”) based on Jennie Rooney’s best-selling novel of the same name. “Red Joan” features Dench as Joan Stanley, a retired scientist living in a London suburb who is arrested for crimes committed many years ago. We flash back to 1938, and young Joan (Sophie Cookson) is a new student at Cambridge, where a chance encounter with Sonya (Tereza Srbova), an alluring fellow student, draws her into a circle of politicized youths supporting the Republicans in Spain and the Soviet dream of a classless society. Joan falls for Sonya’s brother Leo (Tom Hughes), a dashing idealist in search of adventure. When the Second World War begins, Joan goes to work for Max (Stephen Campbell Moore) at a top-secret British intelligence project of great interest to Leo. Joan is soon facing several difficult choices: between national loyalties, between belief systems, between men. Somewhere in all this, she will also discover her tremendous potential. Oscar-winning producer David Parfitt (“Shakespeare in Love”) produced for Trademark Films. Ivan Mactaggart (“My Week with Marilyn”) of Cambridge Picture Company and Alice Dawson (“The Party”) co-produced. The acquisition for “Red Joan” was negotiated by Arianna Bocco, exec VP of acquisitions and production at IFC Films, and Embankment Films on behalf of Nunn.